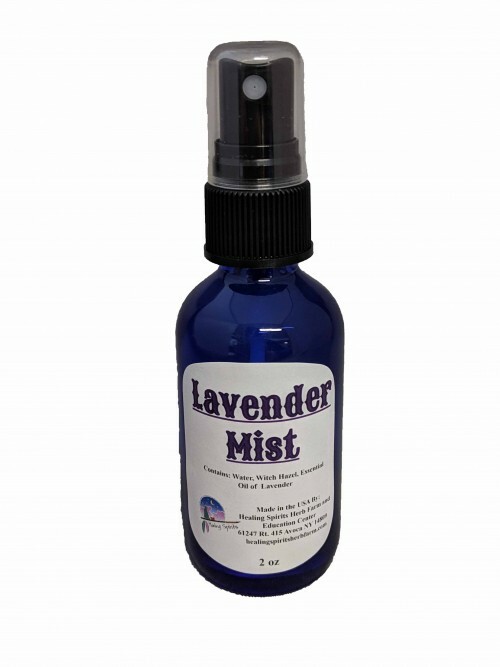 This wonderful Lavender spray is great for the house, work or traveling. Lavender is calming and antiseptic. Spray it wherever you want some relaxation in your life. I always take this when I fly, not only to relax me, but also as an antiseptic around me. Contains: Water, Witch Hazel and Essential Oil of Lavender.